Debra Brunson of Scottsdale, Arizona, passed away in her home on January 29, 2018. Debra was born in Kansas City, Missouri to Maurice and Dorothy Thompson on April 2, 1953. Her father moved the family to Arizona in 1966. She graduated from Coronado High School in 1971. Debra moved to North Scottsdale/Cave Creek in 1984 where she and her father designed and built her dream home. 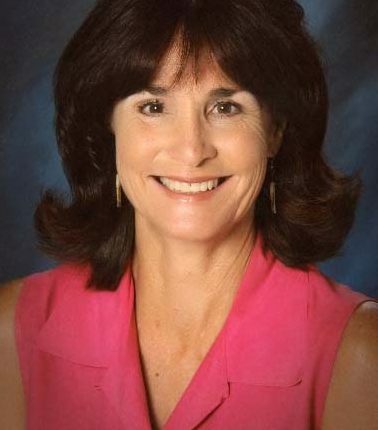 Debra raised her family there and worked for the Cave Creek School District as a librarian assistant and in the district office for many years. The Brunson house made memories for many; campfires in the wash, football games on the lawn, camping in the big backyard, and Friday night horseshoe tournaments. Debra was an amazing mother, hard worker, mentor, and confident to all. She was always there to help anyone in need. Debra gave guidance, was a care giver, helped raise her grandchildren, put loved ones through school, and provided for her family in every way. Debra was a soccer coach, her sons biggest fan, and loved her community. She had an affection for nature and enjoyed hiking, being with friends, and looked forward to every sunrise and sunset. Debra had big dreams, small wants, and simple joys. She influenced others to be kind to one another. Debra is survived by her sons Seth (Taylor), David (Cory) Brunson and grandchildren Kaylee, Deni Rose, Cole, and Cooper Brunson. Celebration of Life will be at her residence on Saturday February 24, 2018 at 10:00 am.